Gifts from the Pirates: Tony Chu is cibopathic. That means he can take a bite of an apple, and get a feeling in his head about what tree it grew from, what pesticides were used on the crop, and when it was harvested. Or he could eat a hamburger, and flash onto something else entirely. Tony Chu is cibopathic. That means he can take a bite of an apple, and get a feeling in his head about what tree it grew from, what pesticides were used on the crop, and when it was harvested. Or he could eat a hamburger, and flash onto something else entirely. When all is quiet in the house and the troops have gone to bed i like to spend the relaxing part of my evening reading comics with my music on. 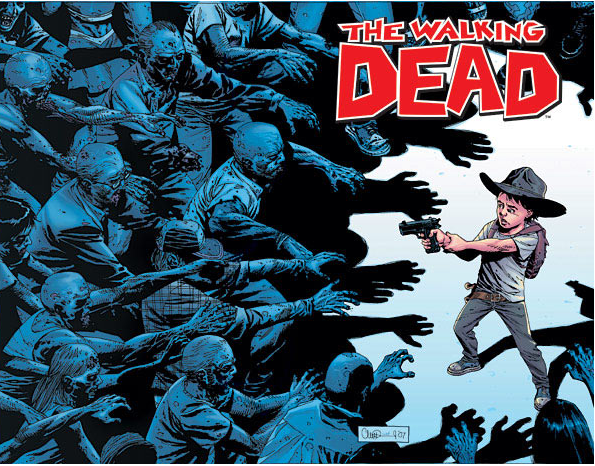 ive been reading from quite a few series so thought i would include some in my blog, Ive been completely hooked since the first issue of 'The Walking Dead',id be shocked if there is anyone that has read this comic and doesn't like it. I was really enjoying the Tv series until i started to read it but the comic is so much better on so many levels. 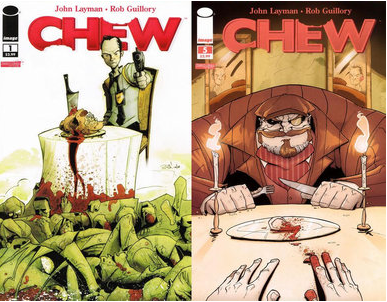 Thanks to reading 'The walking dead' i found out about 'Chew' through the adverts, this series just gets better and better with each comic, i find myself feeling quite impatient that there is only one issue per month. The concept and storyline is definitely the most interesting i have read. A very cleverly written story i just hope that the series spans out as long as 'The Walking Dead'. 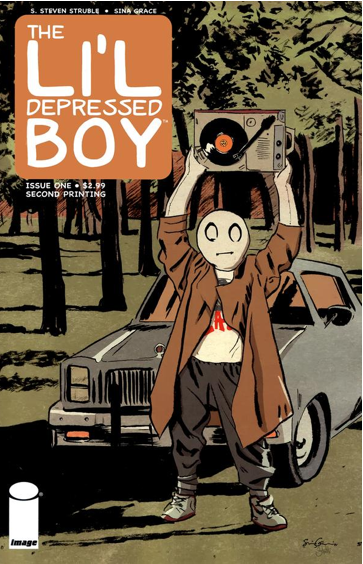 Im not quite sure i came about reading 'The Li'l depressed boy' but I'm so glad i stumbled on to it,its not really the sort of comic i would usually read being a huge super hero fan. The closest Ive read to this would be Ghost World by Daniel Clowes which i also enjoyed. You cant help but be drawn in by the main character and and in certain ways relate to him (for me it reminds me what i was like as a single man living alone,evenings would be taken up by movies,games,comics and pacing around trying to pass my time seeing as i barely slept). All in all an amazingly written and heartfelt story its just a shame there's only been 8 issues so far. 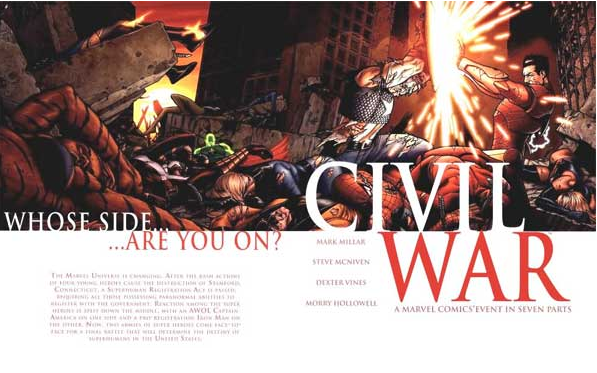 As i said in a previous post i really should have read civil war along time ago but im glad im getting round to it now, im about 75 comics into the story at the moment so theres still a few to go. I never want this story to end when im reading it i really have to drag myself away or i wouldn't get any sleep (there's been a couple of times ive been waiting in the car for my son to finish school and Ive got so into the story Ive almost forgot to get out the car to go meet him,father of the year i know). 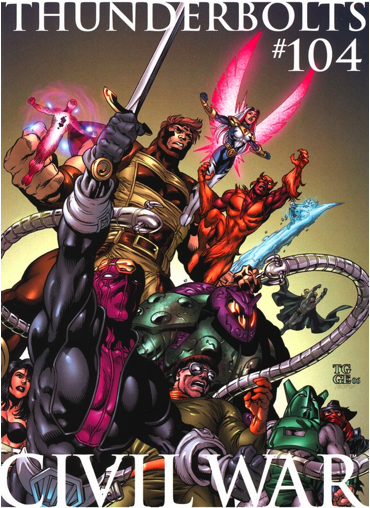 Haven't got very far into the Thunderbolts yet but am enjoying what ive read so far. Ive always been a fan of the villains! 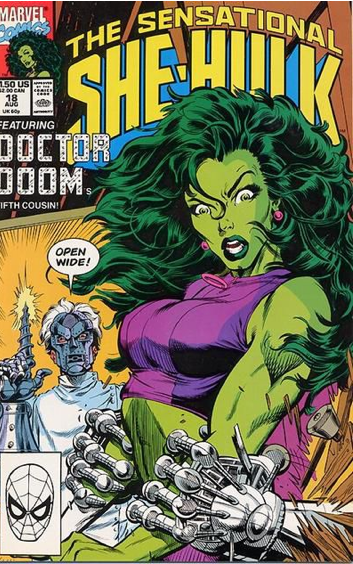 Oh Mrs M, How i wish you had green skin! I dont think i need to say any more!!! I'm really looking forward to my son's getting a bit older and developing on their reading as my eldest is constantly saying he wishes he could read comics,i cant wait to fully introduce him to all the things i know and have loved since i was a little boy! !